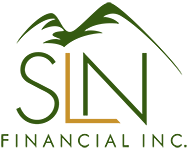 July 19, 2016 - Fun Money Games to Play with Grandchildren | SLN Financial, Inc.
One of the best gifts you can give a grandchild is the gift of being financially savvy. Unfortunately, many children leave home without understanding basic financial skills such as how to set a budget, use a credit card, or invest for the future. Give the children in your life a leg up with these hands-on money games. When you go to the grocery store, set a budget for the trip. Bring a notebook and divide a page into two columns. Write the budget on the top of the page and write your shopping list in one column. As you fill your cart, write down the price of each item on the list and subtract it from the total budget to keep a running total. If you find yourselves running over budget, use the experience as a teachable moment. Will you have to put things back? Can you afford to set a higher budget? Can you choose generic items to lower the cost? If your grandchildren are old enough to help around the house, ask them if they’d like to earn extra money by doing odd jobs for you. If so, set up a bulletin board in your kitchen and keep it filled with tasks. Write down the job you need to have completed on the outside of an envelope with the wage you’ll pay. Put the cash inside the envelope and pin it to the board. A job board is a great way to teach kids a work ethic while getting some chores done. As they grow older, consider letting them bid on jobs or discuss pay with you to teach them important negotiation skills. Help young children identify coins and learn their values using a muffin tin and a fun coin-sorting activity. Collect coins from around the house and pour them into a bowl. Ask the children if they can name any coins and how much they’re worth. If not, show them each coin and name them. Then, place a different coin in each muffin cup and ask the children to sort the bowl of coins into the appropriate cups. You can also help children learn different names for the coins. For example, teach them that pennies are the same as one-cent coins. Make the time you spend with your grandchildren educational as well as fun by using games like these to teach them valuable money skills.